Did you know that October is Pregnancy & Infant Loss Awareness Month and October 15th is the day we celebrate the lives of the babies we lost? Only a mother who has lost a child would know this, and it breaks my heart that I share this month of remembrance with so many others. Recently, a mama emailed me to tell me about her fairly new business and asked if I would like to collaborate with her to raise awareness about this issue. Brooke from Swell Forever connected with me after reading why I titled my blog A Little Blueberry and I am so glad she did because this mama is doing something magical - something I wish I would have thought of years ago! I started my Facebook last October during Pregnancy & Infant Loss Awareness Month and I want to do something special to continue to raise awareness for those who have suffered loss and heartbreak. My Forever Birds are often gifted to those who have experienced miscarriages or the loss of someone special. They are hand blown glass hummingbirds that can hang in windows or on a tree during the holidays and each comes with a personalized message card. It is a simple gesture but I wanted to create a gift for people to honor the life of a little one in a tangible and real way. I also have a Forever Apparel and Forever Blanket line. Customers can create personalized messages that are printed on fabric labels and stitched into their gifts. A portion of all sales goes directly to the Swell Forever Adoption Fund to help families with the costs of adoption. I mean, how cool is this?! Not only is she commemorating our lost babes through personalized gifts, but is helping families with the cost of adoption AND is raising awareness about loss and adoption - amazing. Vignettes that raise awareness for how loss impacts families and advice for grieving parents/resources. 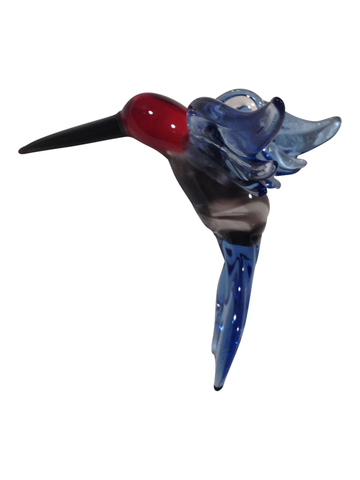 $15 from every Forever Bird glass hummingbird sold in October will be donated to a research project focused on shedding light on Sudden Infant Death Syndrome. Vignettes that raise awareness for how others can support families and unique anecdotes for how your children were honored in a unique way. Starting in November, we will offer the Forever Bird in a sunshine yellow color as a collaboration with Alison's new venture Project Leo William &. Leo was born a few days before my daughter and passed unexpectedly in May. His amazing parents have started a project to bring a touch of joy to the lives of parents who are grieving the loss of an infant less than a year old. They send out Sunshine Boxes, full of pretty things (mostly handmade), from beautiful designers. Everything has a touch of yellow. For every Sunshine Edition hummingbird gifted over the next year, I will donate one to their project to include in their boxes. Swell Forever will also be hosting a virtual #swellremembers #lightthenight on Facebook and Instagram. Traditionally, on October 15th at 7pm, families light a candle for an hour, across the globe, to spread light in memory of their loved ones. Brooke (and I) would love to see all of your light's shining that night and will be doing the same if you choose to participate! I will be featuring Brooke on Moms on Mondays, in the very near future, and we will be giving away one of her Forever Birds to a mama who has experienced loss on Instagram on Friday, October 10th (ending Wednesday, October 15th) - so stay tuned! Also, help us spread the word about this business. I think that the more who know about Brooke's company and blog, the better, and then we can help even MORE families. Post about her on Instagram, Facebook or Pinterest or blog about her company if you are willing. I seriously love what she's doing and know others will too! Thank you friends! I love that you shared this post! I actually just stumbled upon your blog via Julia "Goolia" as I'm looking for blog makeover inspiration. Anyway, I have a "Causes" series on mine and just posted my own experience with pregnancy loss today. Very cool share.